Just as in Ohio, there are schools who 'can't wait' to play and start on Thursday. There's also city schools in Memphis and near Nashville. And in one quirk of the schedule, the far northeast corner of the state plays ALL their Week 0 games on Thursday. The reason becomes obvious when you realize they're near Bristol. The weekend features Bristol Motor Speedway's night race on Saturday, and to avoid the hassle that is 100,000 or more outside fans showing up for the weekend events, the football games get moved up. My first ever game in Tennessee was a few years ago when ESPN aired the Station Camp-Beech game on a Sunday afternoon in Week 0. That game was miserable. It was hot, and the game was scheduled for early afternoon. The stadium was woefully inadequate for the fans and for the size of the schools. Akin to Mentor-Parma playing at Cuyahoga Heights, the stadium was miniscule. Even arriving an hour early didn't help get a seat as the stands were packed and every square inch of available standing space along the railings and fences were taken. The only spot available? On a small mound located BEHIND the scoreboard and near a few of the temporary concession stands set up for the game. It was not entertaining or enjoyable. And I didn't think I would return to Tennessee. Until I learned of the Stone Castle. Known by its much cooler nickname, Bristol Municipal Stadium is built in the style of a medieval castle. The entire grounds are surrounded by a real rock wall complete with lookouts, turrets, and spiked outcroppings. 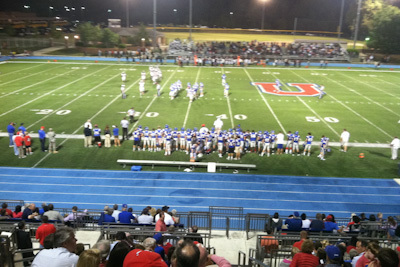 The stadium was recently redone with the old stone seating area replaced with the more conventional aluminum stands and the old grass field was replaced with turf. The game wasn't the greatest, but the venue for Tennessee High School is one of the most memorable in the country. It's a shame it's not well regarding in those 'ten stadiums to see' lists. But, after seeing a second game in Tennessee, it opened up seeing other games in Week 0 as a night game in Tennessee, even with the summer heat, is much better and some stadiums aren't matchbox sized. And that's when I stumbled upon Rivalry Thursday. It's a Knoxville-based television broadcast of regular season games on Thursday. Aired live. Last year, it was Clinton hosting Oak Ridge. Which was interesting as I had been in Clinton previously. And Oak Ridge, if you're even vaguely aware of country music, is the originator of what is known as the Oak Ridge Boys. But also, Clinton was home to another 'cool' stadium. Owned by the town, it's set apart from the school and features a concrete visitor stand and again a modern aluminum riser for the home. And in the endzone, another elevated concrete stand for the band and students. 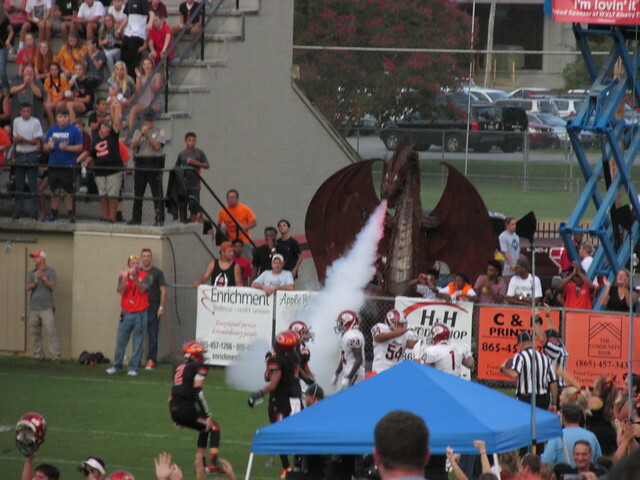 And next to it, a large metal dragon that breathes smoke. Game didn't go well for Clinton, however. This year, there were a few options for games. A return trip to the Stone Castle, another Johnson County school, or the Rivalry Thursday game. This year, that game was in the small 'town' of Strawberry Plains. Carter, a Knox County School, was hosting Anderson County. Coincidentally from the aforementioned town of Clinton. If you're unaware, Jim Haslam, the owner of the Browns, has donated enough money to Knox County Schools to convert their fields to turf. Which was Carter's turn this year. It also coincided with some renovations to the fencing around the field. Now, Carter Football Stadium is small. It's also compact. Located across the road from the school, this slightly rural stadium is stuck on a small plot of land. The visitors stand climbs the hillside and sits just above the road. During games, the road is closed. Deciding on a game wasn't easy, but with the plan to visit Great Smoky Mountains National Park once again, it wasn't that far west of the main route to the park. So, eventually Carter-Anderson County won out. Tickets for this single game were $8, and programs were $5. The school made an 'event' of this game. A half dozen tents setup in the endzone selling all different kinds of food. As well as a snow-cone truck parked by the field house building. Even arriving early, it was clear seating on the home side would be limited. The $8 ticket was just general admission. However, the home side is setup in three small segments. The main stand sits atop the 50, and is for reserved tickets and students. Then, to the south, is a second small stand for the band. And to the north, a small stand for general admission. Meanwhile, the entire visitor section, roughly 8 rows tall, runs from the 5 to the other 10 yard line. What stands out about this stadium is that with the lack of a track and the elevated stands right behind the sidelines, is that you are incredibly close to the field. This also means there's no fence standing on the sidelines as the only walkway is in the stands. Though a small contingent camped out along the endzone fencing, the home side of the stadium did fill almost completely. The visitors side was where I sat, and though it faced the sun for the first hour, had plenty of room as not many made the trip south for the game. Though, arriving early for a game, it's hit-or-miss where the student section or where the band would be and neither is conducive if you're there to watch the game as both stand for the bulk of the game. Anderson County, though, basically setup shop for the band in the very first 'small' section while the students took the small section at the far end of the field. As for the field, aside from the usual team name and nickname, the field featured prominent "Pilot" logos for Jim Haslam's truck stop chain each end of the field near the 20s. Overall, Tennessee cares about their football. Their stadiums, in general, are either ancient or undersized. This may make for 'packed' games, but it also makes for some miserable fans who at best can watch while standing behind the endzone or such. I'll discuss the second part of Week 0 when I visited Kentucky soon. And Week 1 for my one-day trip to Michigan. Last edited by Sykotyk; 08-29-17 at 09:27 PM..
One of these years, you need to get out to Memphis for a game. 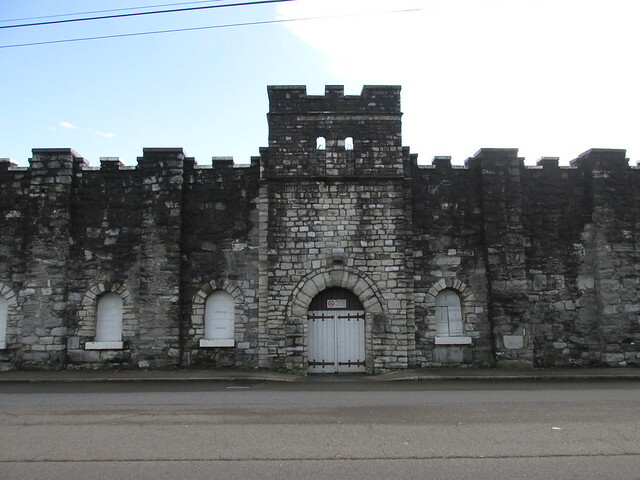 There are some cool old school stadiums in West Tennessee. It's too bad the old Crump Stadium is no longer around. It actually hosted high school games, SEC football games, and Memphis State football games prior to 1964 when all of the college games shifted to what is now known as the Liberty Bowl Memorial Stadium. Believe it or not, the old Crump Stadium stood in its 25,000 seat configuration all the way up until 2004 when it was demolished, and replaced with a "normal size" football stadium. Anyway, some goodies still exist around town. 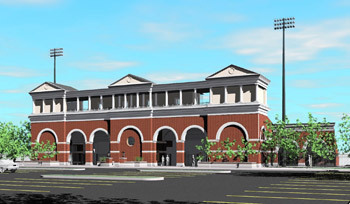 I really like Memphis Melrose's stadium. The neighborhood is a bit rough, but you should be OK at a high school football game. Just make sure you park where everyone else is parking, and it's well lit. Cincinnati LaSalle played at Memphis Christian Brothers last year, and they have a nice stadium, too, although it's much newer than Melrose's. Memphis University School also has a really nice home side, but the visitor side isn't much to write home about. There's a lot of options in Tennessee for a Thursday Week 0 game. Just depends on the schedule. In 2018, the basic plan is to see the Corky Kell Classic at the new Mercedes-Benz Stadium in Atlanta during Week 0. Then go to Disney World, and see games somewhere else on the way back north. Maybe in the future I can get further west for a Week 0 Tennessee game.